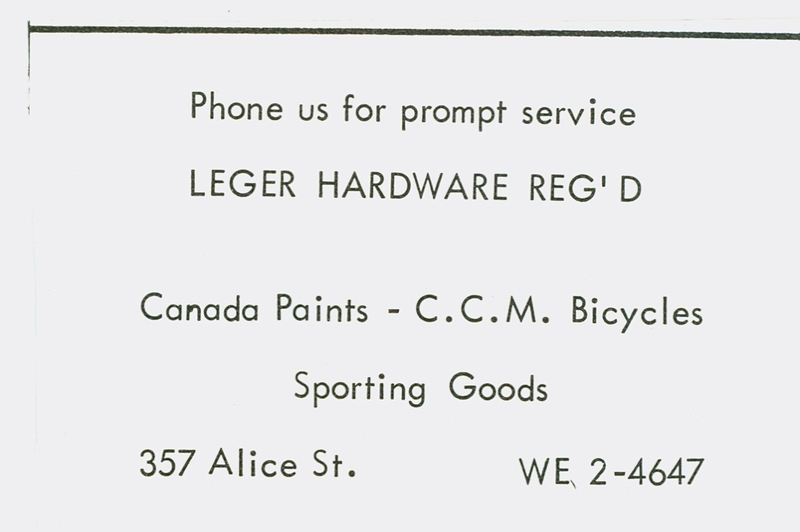 The 1951 Cornwall City & Township Directory includes an ad for Leger’s Hardware at 361 Alice Street. The store was located in Lorneville on west side of Alice Street between Walton and 1st St. E. The centre of Alice Street was the dividing line between the historic Cornwall Township neighbourhoods of Lorneville and Riverview. Pictured above is the store’s 1954 Business Listing in the Bell Directory. 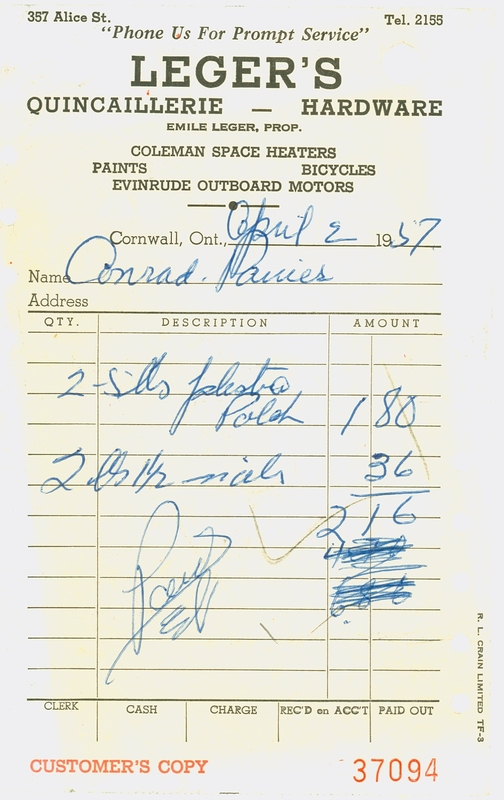 This 1957 sales receipt for Leger’s Hardware hints back to the time of three and four digit telephone numbers. The 1959 City Directory lists Leger’s Hardware, still at 357 Alice Street, still owned by Emile G. Leger. From the 1939 City Directory we know that Emile previously worked as a clerk for Belanger & Gauthier. In the 1963 and 1970 City Directories, we see the business listed as Leger Hardware Reg’d at the same address and phone and now owned by Robert Proulx. This 1965 school yearbook advertisement reveals that the store was still a merchant of C.C.M. bicycles. According to the 1971 City Directory, Jean (John L.) Proulx had joined Robert in the business, now operating as Proulx Brothers Hardware. The prior year, John was listed as working for Hodgins Lumber as an accountant. Other businesses subsequently operated from that location. The building still stands and recently (2017) housed a variety store. The paint stir sticks shown above are from a large collection donated to the Museum recently. What’s in your closet waiting to be shared? 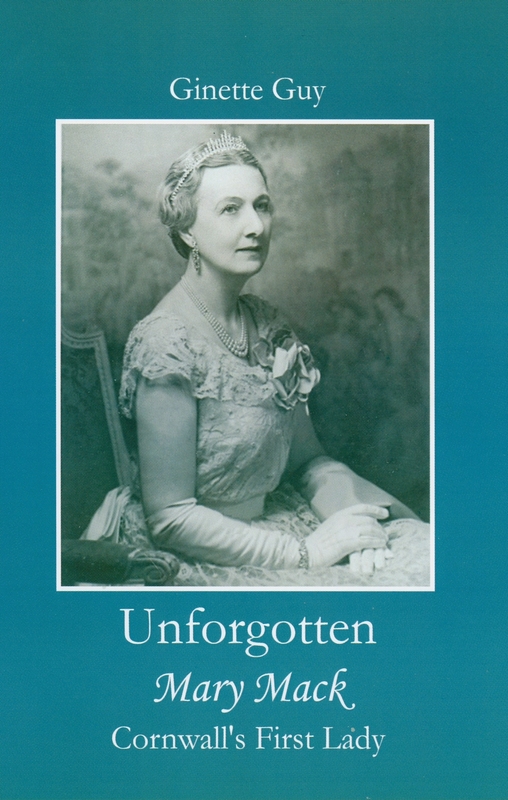 Contact us at cornwallhistory@outlook.com . « Hotel Cornwallis. Artifact of the Week. My Dad is Jean Proulx. He and my uncle Robert owned Proulx Brothers hardware. Jean currently lives in Ottawa and Robert lives in Lancaster. Thanks for sharing!